This item is a TOP PICK of Emily Jackson, the July Users' Choice Winner of the Vanity Fair International Best-Dressed Challenge. "Leopard is always a neutral for me, and these booties can go with just about anything." 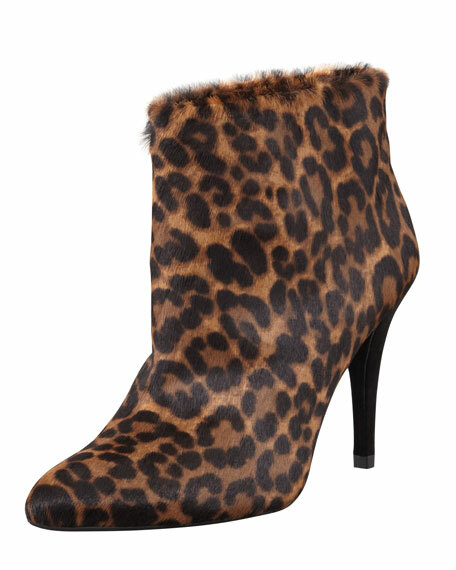 "Everyone is looking for a leopard-print bootie this Fall, and this one I found is just perfect!" 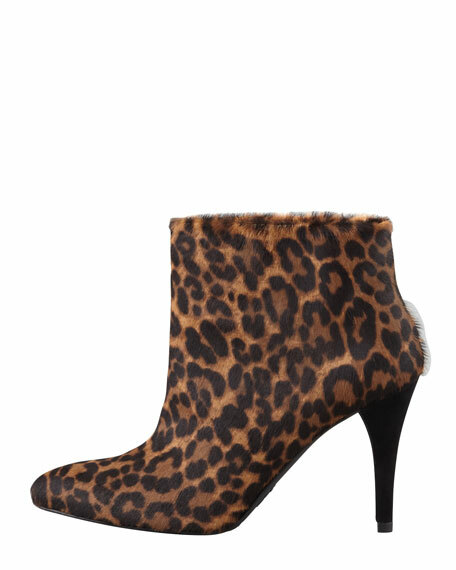 Functional feline: stay on trend this season with the cool leopard calf hair of this Stuart Weitzman bootie. Hidden inside, an elastic band keeps the foot firmly and securely in place even though the collar sits away from the ankle. Leopard-print dyed calf hair (Australia) upper. Inner elastic insert keeps foot in place. 3 3/4" suede covered heel.